Does tobacco chewing during lactation impede weight gain of breast fed infants? I am breast feeding my baby. He is 10 months old, and his weight is 8 kg. I take tobacco; could that be the cause of low weight gain in my son? Mothers who consume tobacco during lactation, usually have taken it also during the pregnancy. Tobacco taken in any form is known to threaten fetal development and impede adequate breast milk production. Breast milk is not only crucial for newborn growth but also for overall infant development. Low birth weight babies born to mothers who consume tobacco during pregnancy are thereby unable to catch up with their normal expected weight. Continued exposure to tobacco toxins during breast feeding further jeopardizes the great growth spurt of infancy. Apart from charcoal, tar and carbon monoxide, all other harmful components of tobacco are consumed even on chewing, sniffing and dipping. Therefore, the negative effects of tobacco on infants’ health are the same irrespective of the way it gets into their system; through breast milk or inhalation from the polluted environment. 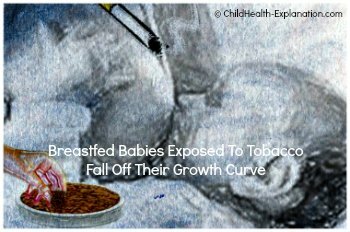 It has been documented that breast fed babies who are exposed to tobacco by-products fall off their growth curve, particularly that for the weight. However, researchers have not yet confirmed the extent of negative effect of tobacco consumption during lactation on infants’ growth. This is because several variables influence children’s inherent growth potential. Therefore, it is also difficult for me to pinpoint tobacco chewing as the single cause of your son’s weight being at the third percentile on the growth chart. In spite of tobacco exposure, Continue Breast Feeding Your Baby. Stopping to breastfeed the baby would be adding insult to injury. Breastmilk is crucial for infant’s optimal development. The babies who are breast fed show better weight gain then the top fed babies; even when there is fear of passage of nicotine and other tobacco toxins through the breastmilk. • Minimizes ill effects of tobacco toxins on infant. •	The unique constituents in breastmilk promote child health. •	Provides appropriate nutrition for infants. •	Optimizes immune system development. •	Reduces risk of infection and allergies. 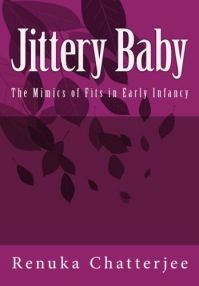 •	Minimizes the chances of sudden infant death syndrome – SIDS. •	Promotes appropriate metabolic development. •	Hormones and growth factor in mother’s milk not only promotes growth and development, but also instills self-regulation and lowers the chances of childhood obesity. •	Stabilizes psychosocial development through childhood. Should mothers who consume tobacco breastfeed? Breastfeeding is highly recommended even if the mother consumes tobacco directly or as secondhand smoke. The benefits of breast milk for overall childhood development can neither be ignored nor substituted. How to prevent negative effect of tobacco by products on child health? To welcome your newborn baby stop tobacco consumption much before conception. Only then will your womb, breast milk and home be totally free of tobacco toxins. It’s never too late to get a poisonous substance like nicotine out of your system and your home.